OpenLearning’s aim is for students to have amazing learning experiences on our platform, that are empowering, social, and get students actively involved in their learning. To do this, we want to ensure that all courses on OpenLearning are of the highest quality, that provide these types of learning experiences for students. 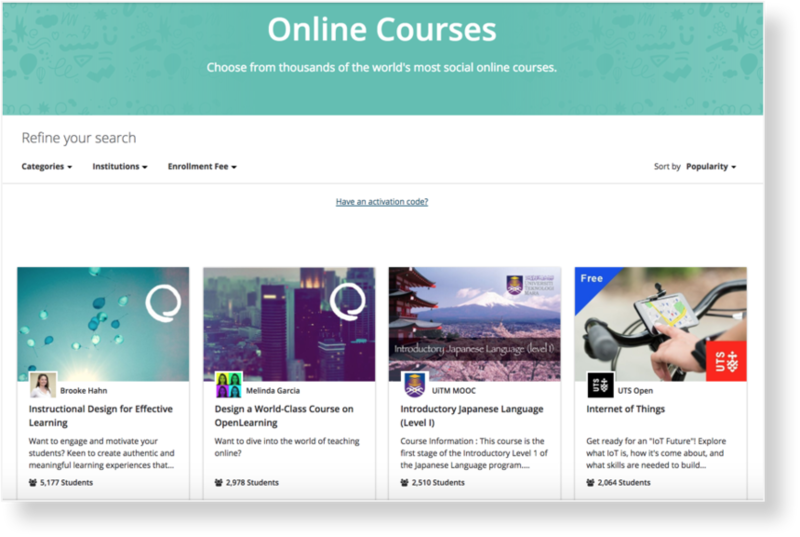 Up until recently, all public courses created on OpenLearning have been listed in our Course Marketplace. While this has helped thousands of students to find and enrol in interesting courses, many students have reported issues with joining courses that have not been set up completely or designed effectively. This has resulted in some students having poor learning experiences on our platform. To ensure students have the best learning experiences possible on OpenLearning, as of May 2018, we only list courses in our Marketplace that pass our course quality review. Courses that don’t pass our criteria can still be taught on OpenLearning! But instead of students finding your course in our Marketplace, students would find it via your own marketing channels and efforts, as well as via Google. The course URL will not change and when students click on your course URL from your own independent marketing, they will be taken to your course promotional page and can enrol as normal. If you would like to have your course listed in our Marketplace, the next page explains how you can apply.